Vroom! 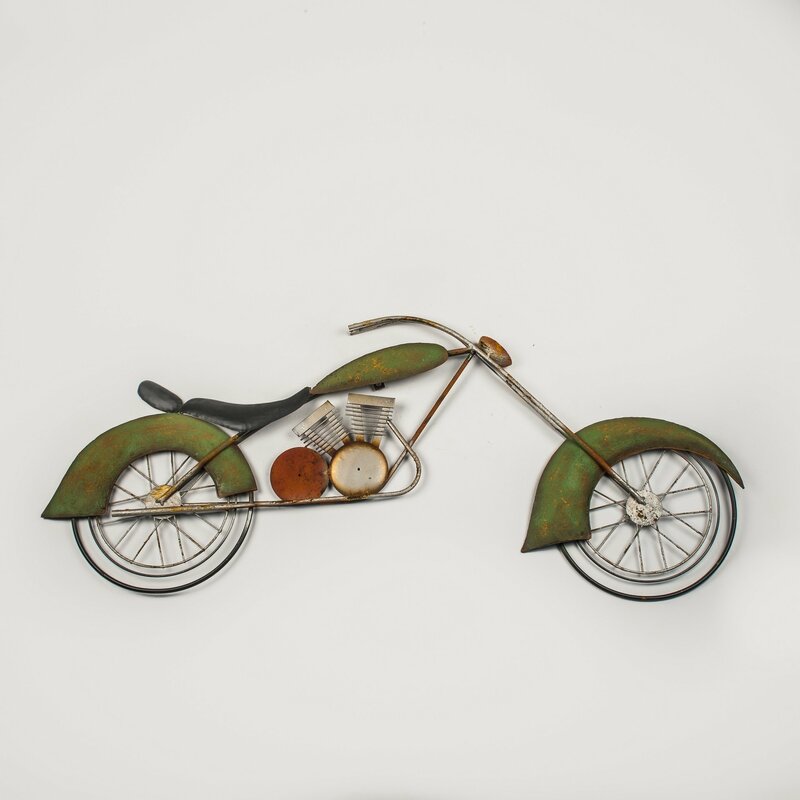 This motorcycle metal wall hanging gives you a speedy way to add something unique to your decor! Fabricated out of durable metal, the wall sculpture is shaped like a vintage bike and has a distressed green, orange and blue finish that makes it appear aged for added charm. The Dirt Bike has small rings on the back to hang from hooks. This piece of metal art would look fantastic in a bike-lovers shed or "man cave".